The Flickcast ‘Star Wars’ Spectacular! You’ve waited and you’ve waited. Now, it’s finally here. A new episode of The Flickcast! But wait, that’s not all. 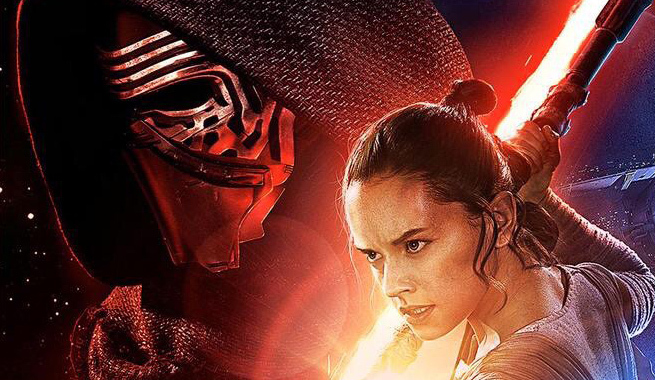 Star Wars: The Force Awakens is also here! As promised, Chris and Joe get neck deep into the new Star Wars movie and talk about it for pretty much the entire show. And yes, they do discuss some spoilers, so beware. They also talk about a couple other things. But for the most part, this episode is all Star Wars, Star Wars, Star Wars! Picks this week are again unanimous: Star Wars: The Force Awakens! Did you expect anything else?